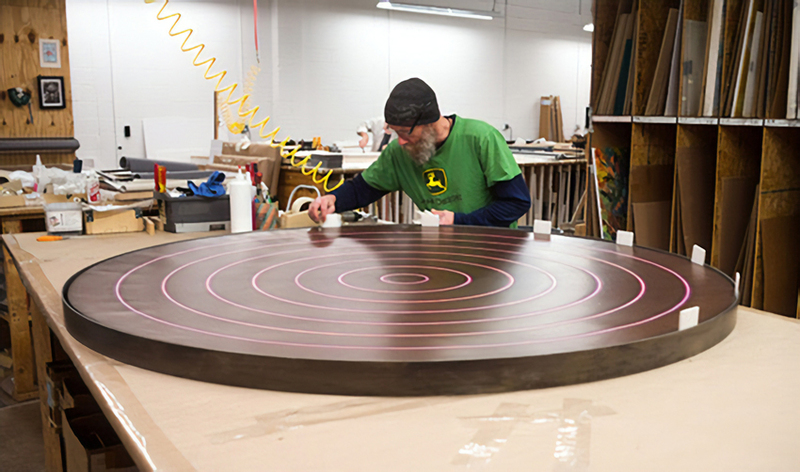 The fitting of this custom circular steel frame requires special methods and procedures. Explore the process as Sienese Target gets fit up at our framing facility. 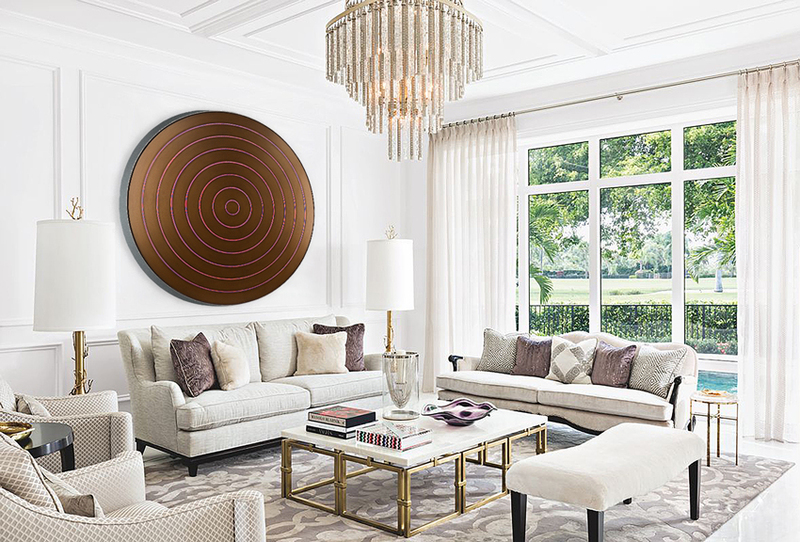 Frame a uniquely shaped painting in an imaginative custom frame – The cool ribbon of steel surrounding Tom Bolles’ circular work perfectly balances the warm soft metallic bronze tones in the painting. As Sienese Target reflects a subtle, illuminating light from its acrylic surface, its frame echoes the uniform rhythm of the lines within. 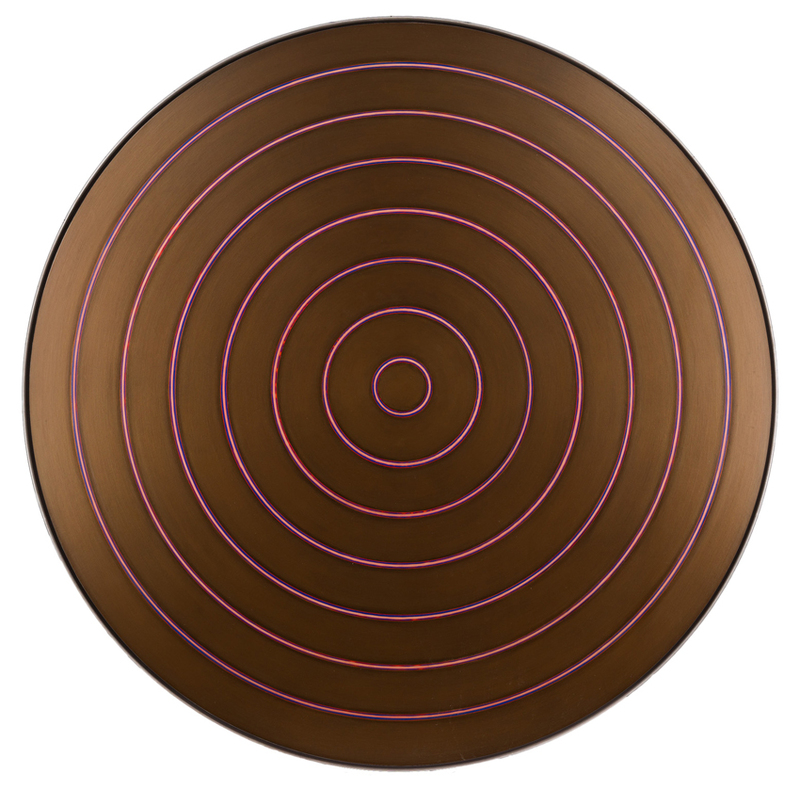 No matter the space, the mesmerizing presence of Sienese Target is sure to stand out in any room it inhabits. To work with one of our art consultants on custom framing your work of art, please contact the gallery nearest to you.